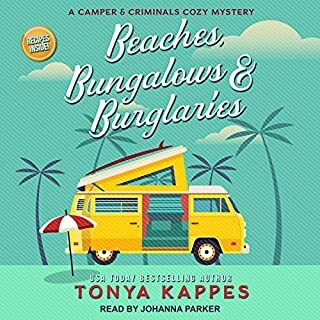 This is a pretty good cozy mystery series but it doesn't really hold my attention. I finished it because the story is ok but I probably won't get the next one. I love the storyline and the narrator. I think its a wonderful book. can't wait for the next one. 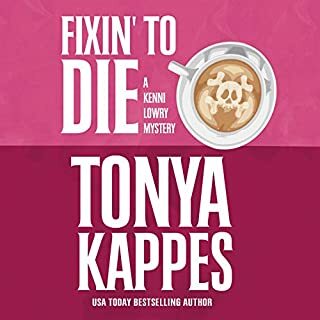 Sheriff Kenni Lowry gets called to the scene of another death in Southern Fried by Tonya Kappes. A man (at least they think it’s a man) is lying face down in the prize tomato patch of Myrna, a resident of their small town of Cottonwood, KY, so covered with tomatoes that he is hard to recognize even when they turn him over. Owen Godby’s legs are wrapped in electric fence wire, making Kenni and her deputy Finn suspect foul play. And by the way, what happened to Owen’s shoes? Why is he barefoot? 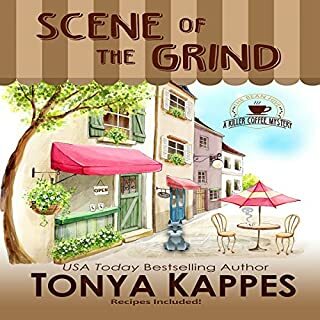 As Kenni begins her investigation, she discovers that the family has been at odds for a long time, and they have been fighting over the ownership of the cookbook that the matriarch of the family left behind. For example, when Owen divorced his wife and didn’t give her the cookbook, she tried to give Owen all of their assets in exchange for the book. The crime clearly seems related to material in this book, which Kenni finds but can’t determine the significance of. She gets assistance from her poppa, the ghost of her grandfather, the former sheriff. Further, someone is trying to scare away Kenni with threats. The crime scene tape gets torn off everything. Someone stabs the passenger seat of Kenni’s car, leaving the knife in it. 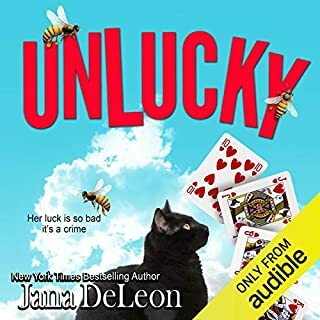 And even worse, Owen’s brother, estranged from him until after Owen’s death, at which time he suddenly was Owen’s best friend, loudly accuses Kenni at the city council meeting of not keeping Cottonwood safe and proposes they replace her with a retired deputy. 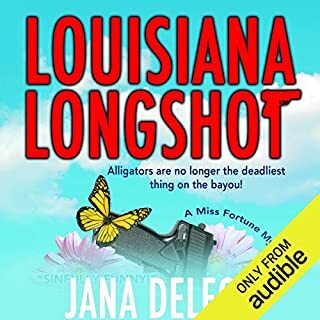 This book was really enjoyable and kept me eagerly listening. The exciting conclusion drew me in even further. The readers of Fangirl Nation will notice one technical error in the book. Kenni talks about getting a recording off a SIM card, but most of our readers will recognize that a SIM card is the card that identifies which phone number is connected to which phone. This became annoying at times, but it’s something we can overlook. Hillary Huber narrates the audio version of this book. I like the accents she uses, and she creates other clearly believable voices. I did have a problem with the recording in that the sound sometimes goes up and down in volume, not always staying even. That was annoying, since I like to listen to my books at the lowest level that I can hear comfortably. 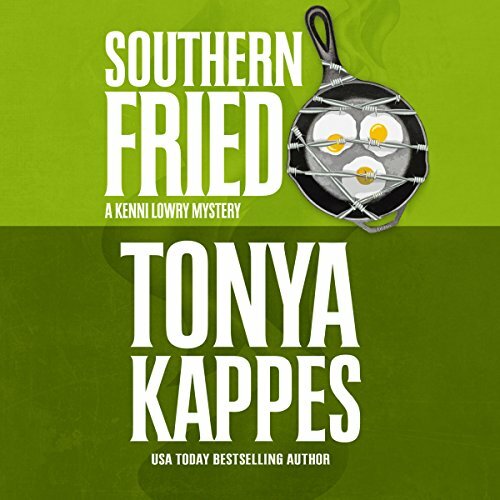 Southern Fried was an exciting book. I liked the first book, Fixin’ to Die but I liked this one better. I give it five stars. If a mystery is this light, it needs to have engaging characters. None were evident after the first hour. I gave up. Perhaps in prior books this female sheriff showed some smarts. 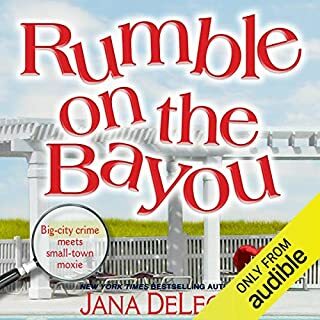 In this tale she cannot do even basic investigation without the help of her ghost of a grandfather, her "hunky" (they use that descriptor ad nauseum)deputy, and even her old male dog. If you like "honey haired" heroines who protest too much about the caretaker men and friends surrounding them, this book is for you. Anyone looking for a good detective story - or smart, capable female characters - look elsewhere.